When Mayté asked him if she could share the Meet the King! book with him, he said yes. He listened intently to the message. But all of a sudden Mayté felt someone standing behind her. It was a woman with an angry look. Waving her finger at Mayté, she said, “Don’t tell lies to that boy. It’s not God; it’s Jehovah.” Mayté didn’t respond to her but asked Oscar, “Do you want to keep listening?” He nodded his head yes. So Mayté said to the woman, “Can you please go away? The boy wants to keep on listening.” The woman left angrily. “Yes!” he answered. The woman left, cursing as she went. Mayté met Oscar during the “Together for the Children of Mexico” project held last summer in Mexico City. 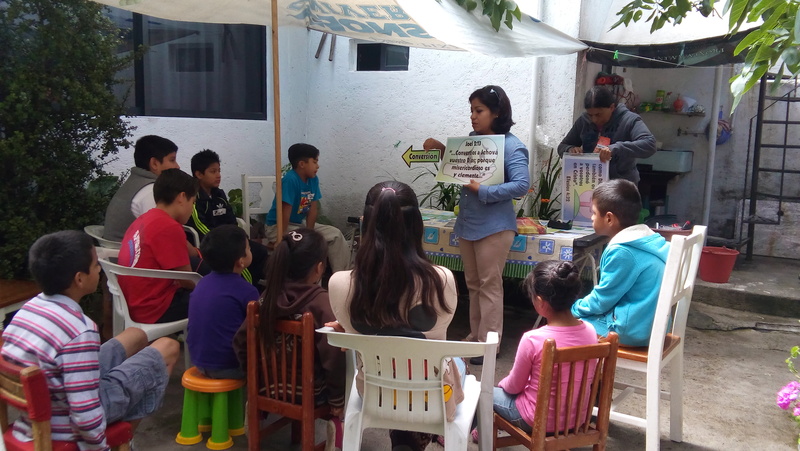 Participants from all over Mexico and seven other countries gathered for training and were sent in teams to serve 38 churches and train 1,024 teachers. From this outreach 818 children trusted Jesus as Savior. Now 179 brand new Good News Clubs have begun with 2,697 children in attendance! We are expecting an additional 142 clubs to begin soon. God made a difference in so many lives during the project! One young man learned how to use the Gospel Turnaround. Two days later he shared the Gospel with 300 children in the VBS closing ceremony. Many children prayed to receive Jesus as their Savior that night. Praise God for what only He can do! 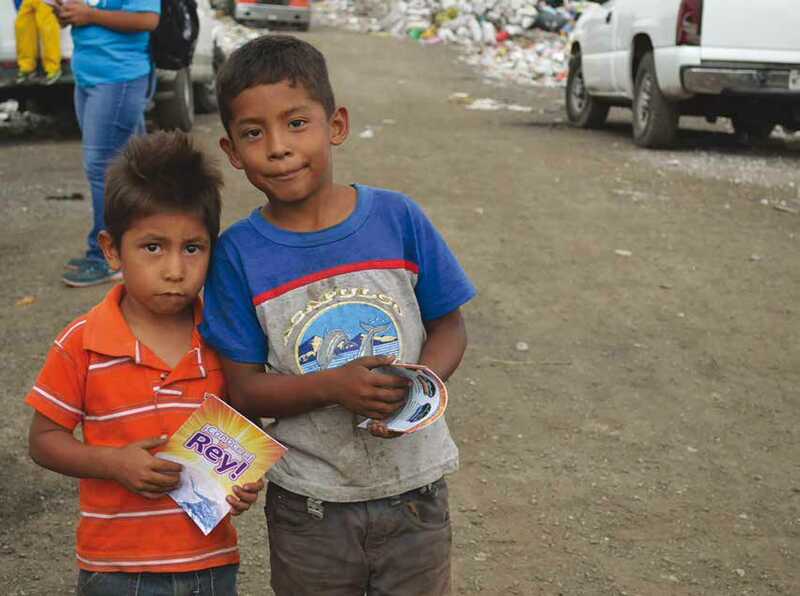 Each year CEF in the Latin America region gathers for a special evangelistic project. Next summer it will take place in Chile, June 26 to July 8. If you would like to take part, contact intlmin@cefonline.com.